Last year had funked-up indie rock unit the Dismemberment Plan exploring an Uncanney Valley on their first full-length in a dozen years, but the act will next revisit familiar grounds via a vinyl reissue of their 2001 set, Change. Originally issued on CD through the now-defunct DeSoto Records imprint, Change is set to appear in its first-ever vinyl pressing on November 4 through the Plan's current label home, Partisan. Unlike the 2011 expanded edition of the group's 1999 effort, Emergency & I, the upcoming Change will not feature any leftover tracks. It will, however, include a 12-page booklet of photos and art, as well as lyrics. This includes the words to album closer "Ellen and Ben," which had been left out of the original layout. 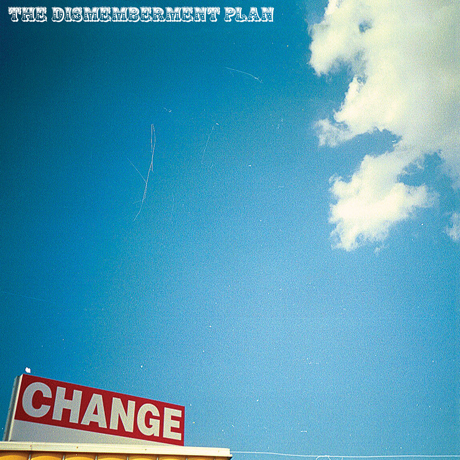 Produced by Jawbox's J. Robbins (also a co-owner of DeSoto), Change was the Dismemberment Plan's last LP before going on hiatus in 2003. According to a press release, vocalist Travis Morrison explains that the record had been somewhat difficult to complete, with the album title apparently being prescient for a band that would soon part ways for an extended period. They would, however, play a pair of dates in 2007 and fully reunite in 2010. "Looking back, I can see where the gas ran out. In the timeline of the songwriting, it was a struggle to get it over the finish line. The last song we finished was 'Ellen and Ben,' and I think it's last on the record for a reason," Morrison said in a statement. "Listening to it now, it sounds very much like the romantic equivalent of what was happening emotionally in the band, where people were getting to that late-20s/early-30s part of your life when you realize college really isn't coming back and you're a grown up. It's a dicey time for a lot of artists, especially rock musicians." The Dismemberment Plan "Daddy Was a Real Good Dancer"